In 1998 I started with a RAS project on Barn Swallows in the Arkemheenpolder near Nijkerk. At some farms I ring the young (nestlings) as well as the adult breeding birds. The recaptures from adults are being collected by recapturing breeding birds. 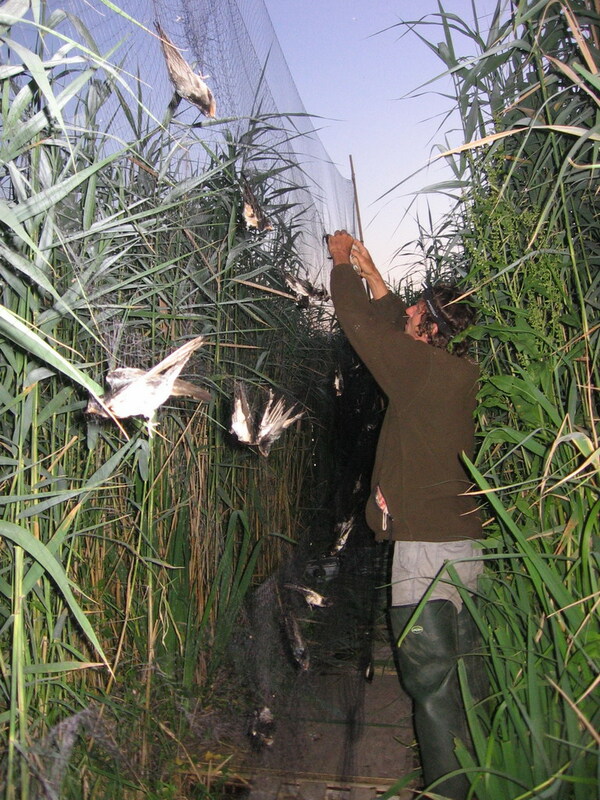 Catching adults is accomplished with mist nets which are raised in front of an open window or door. In addition the nest data are being followed in the context of the nest card project from SOVON. The breeding season of the Barn swallow is very long. At the end of April a start is made with the first brood. And when the young have fledged, almost always it is followed by a second brood. Only in September the last second broods fledge. The breeding success of the Barn Swallow can be followed very easily. The eggs can be counted by holding a small mirror above the nest or by counting the eggs carefully with your fingertips. They are not sensitive to disturbance! The young are sitting in the nest for a grand total of 20 days in the nest (this is very long because the young of most species of songbirds leave the nest after approximately 2 weeks. The young Barn Swallows can be ringed between day 5 and day 14. When you want to ring all of the young of all nests then a scheme of once in 10 days is therefore sufficient. The nest data can be reported to SOVON through the digital breeding card. More info on Barn Swallows can be found on Bennie van den Brink's website: www.boerenzwaluw.nl. 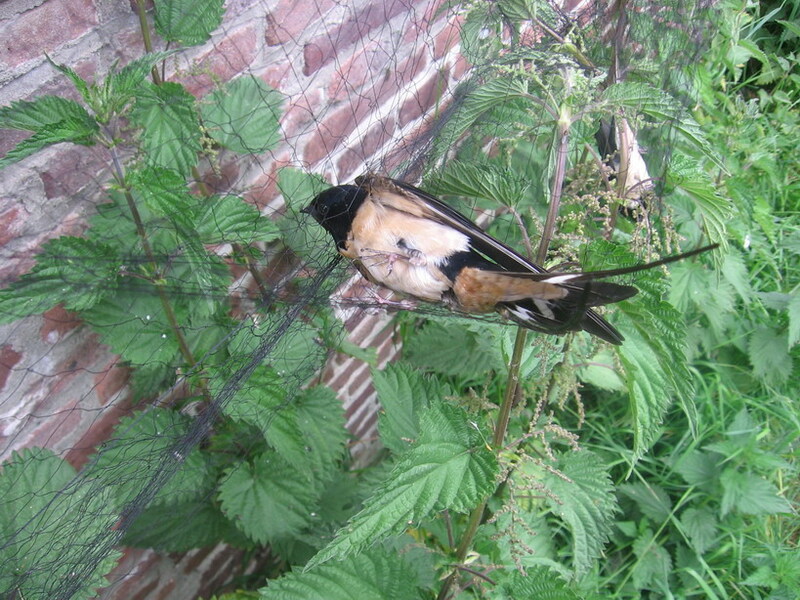 2011 is the year of the Barn swallow. There are numerous organized projects such as counting projects, breeding research and ringing research. Join the research! More information can be found at http://www.jaarvandeboerenzwaluw.nl. Barn Swallows on roost site Ooijsegraaf. Adult male Barn Swallow in a mist net. © Bram Ubels.